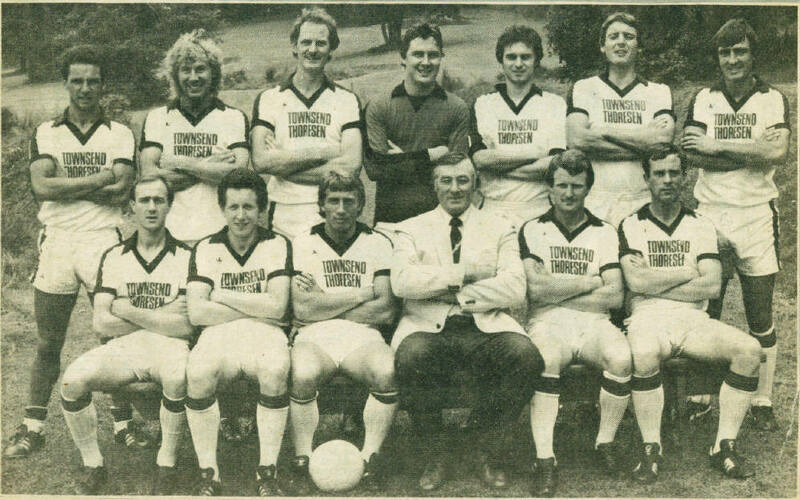 The Dover team which beat Waterlooville 2-1 at Crabble on 15th.August 1981. Both goals came from Terry Jolley. Back row: Bernie Godzik, Ricky Fusco, Dave Westgarth, Gary Moseley, Terry Jolley, Neil Cugley, Peter Brooks. Front row: Bryn Lloyd, Richard Dowle, Bobby Wilson, John Shearn(Chairman), Terry Norton, John O'Connell.